Bookings are made during temple timings in the evening only. NO BOOKINGS OVER TELEPHONE OR E-MAIL. Devotees are requested to book their sevas and payment made well in advance and at least before 7.00 pm on the day prior to the date of seva. Modhakam and Vadamalai Sevas will not be performed on Pradosham and Sankatahara Chaturthi days. Ganapathi Homam and all Abhishekams & Sahasranama Archanas will be performed in the morning. Sivan Abhishekam will be performed in the evening only. Chandanakappu/Vibhuti Alankaram, Modhakam and Vadamalai in the evenings only. No Car/Scooter pujas will be performed in the mornings. If Kattalai (Regular) archana is to be continued, payment for renewal should be made well before the archana dates. 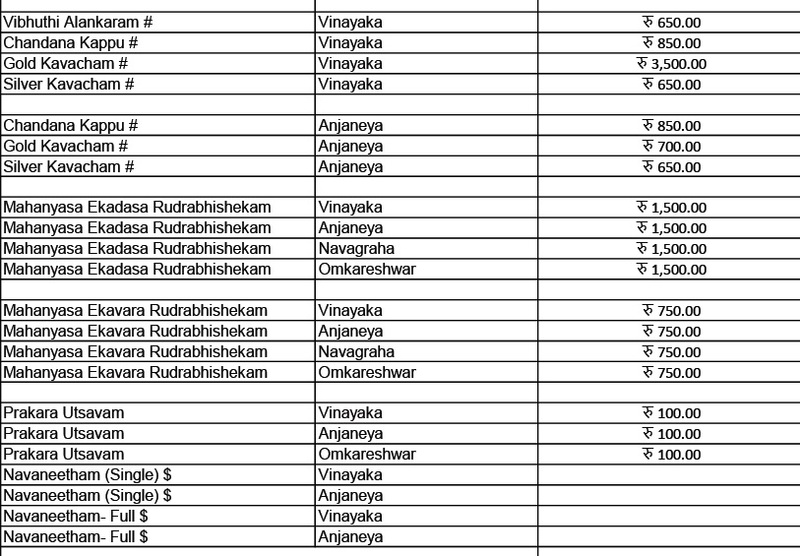 All payments for sevas/donations and offerings should be made in the office and receipt therefor invariably obtained. 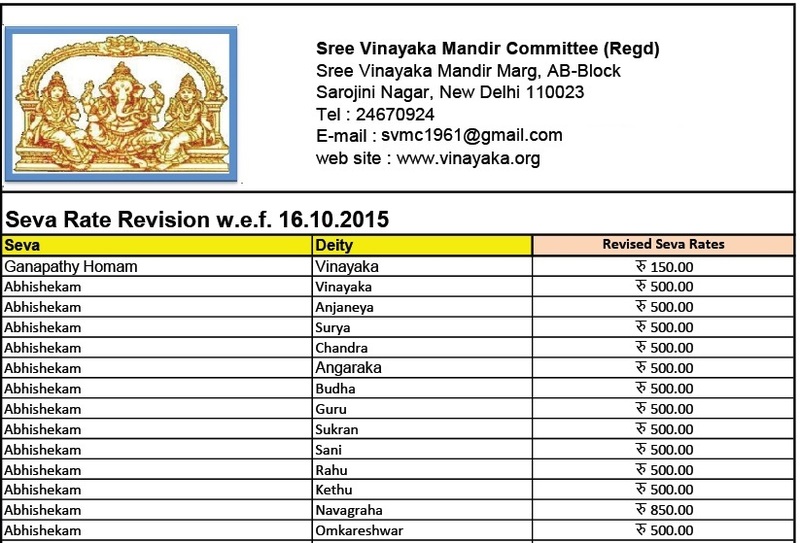 All payments sent by post vide Cheque / Draft must be made in favour of " Sree Vinayaka Mandir Committee" payable at Delhi.